Guerilla Gravity has gained a following for its US-made aluminum and steel trail and enduro bikes with progressive geometry. In addition to the rollout of redesigned models, the big story today is the switch to carbon. 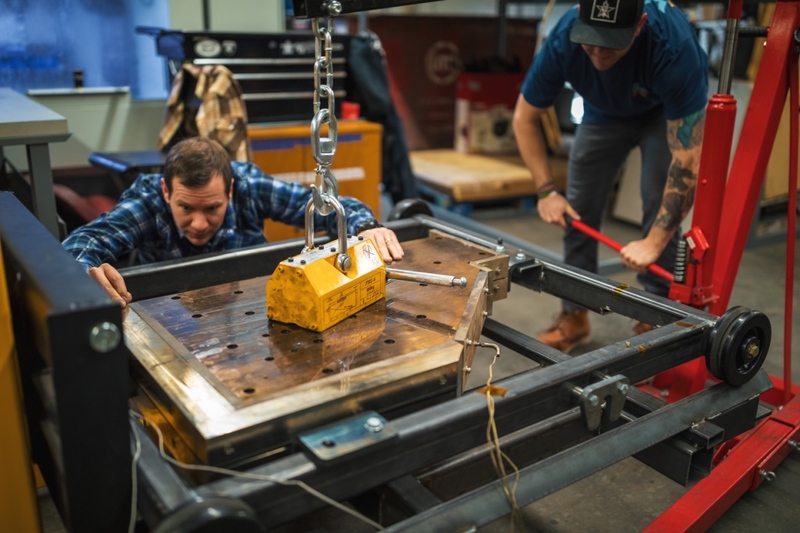 The Denver, Colorado-based company’s approach to carbon construction is a break from tradition and an attempt to bring carbon manufacturing to the United States within the budget of the average mountain biker. The majority of mass-produced carbon frames are made in Taiwan, China, and Vietnam using similar construction methods. The crib notes version of carbon frame manufacturing goes something like this: Carbon fiber sheets are laid up by hand inside a mold; the mold is closed and a bladder with in the mold expands from the inside, pushing the carbon sheets together, eliminating voids; heat is added to activate epoxy resin impregnated within the sheets, bonding the plies together and forming a ridged structure. 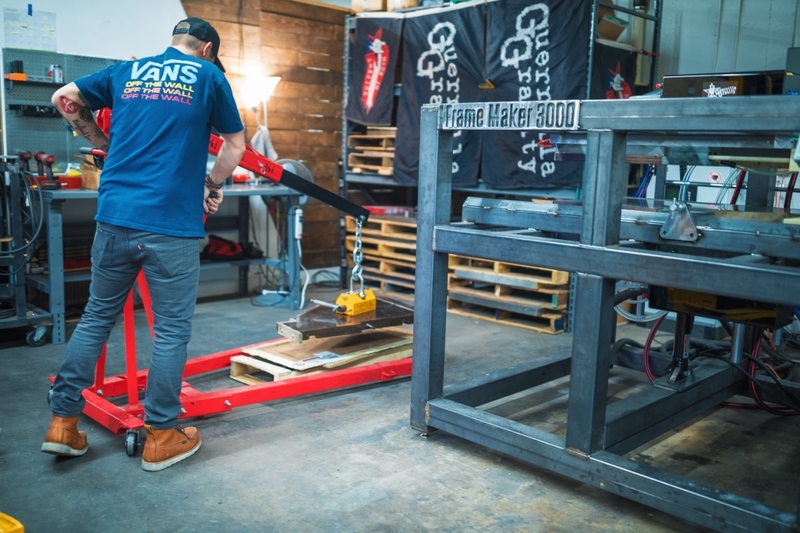 This is a tried and true method of frame building. At the same time, this process poses challenges to domestic manufacturing. The time and labor costs are prohibitively expensive, particularly for a small company such as Guerilla Gravity. It took a different approach to carbon construction to bring it Stateside. Knowing the strength and weight benefits of carbon fiber over other materials, and being acutely aware of the steep production costs, Guerrilla Gravity began the search for an alternative carbon construction method in 2015. 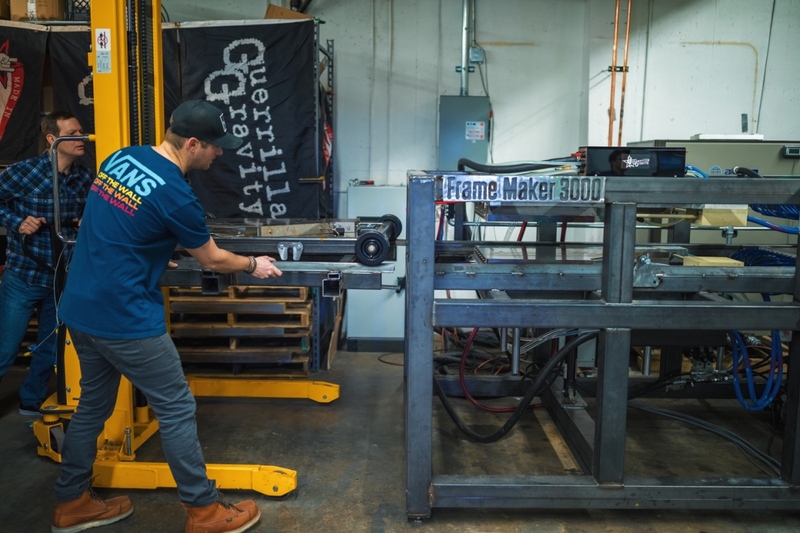 Recent advances in thermoplastic resin and automation gave Guerilla Gravity a new option. 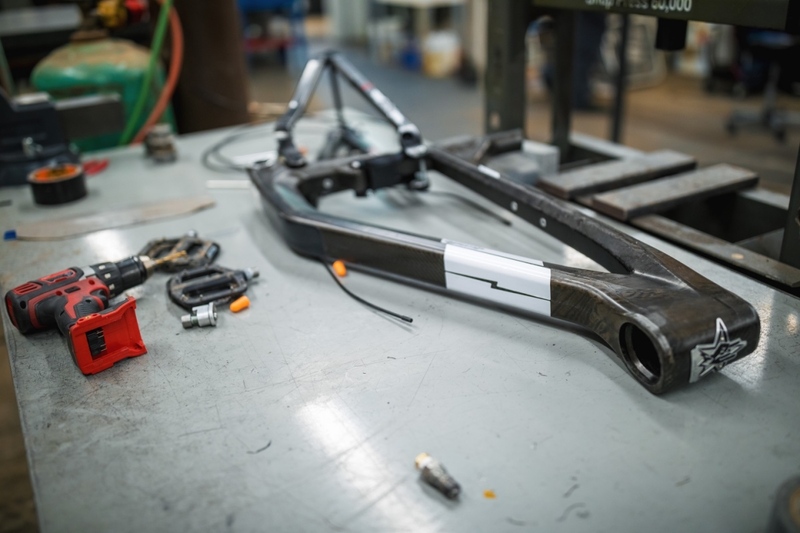 The company calls the materials and process used to create its new frames “Revved” carbon. 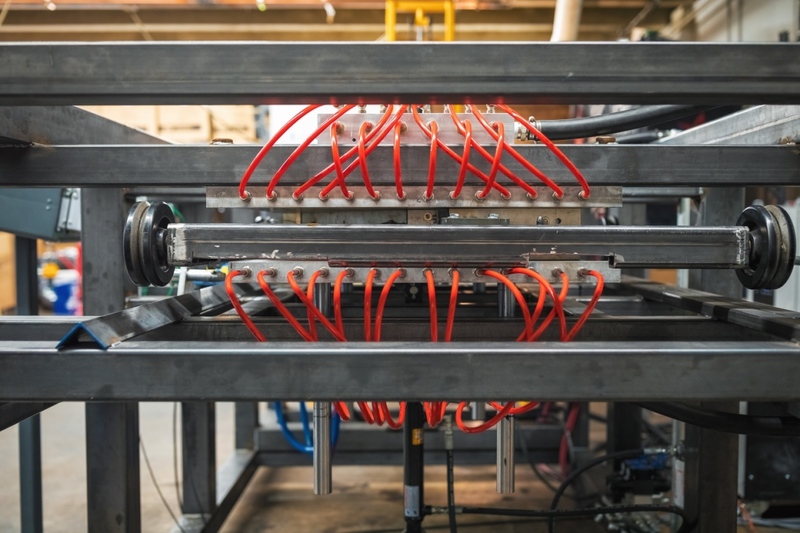 Last year, Guerilla Gravity won a $250,000 advanced manufacturing grant from the state of Colorado to jump-start their move to carbon. Mountain bikers with a long memory may remember the thermoplastic frames and components introduced with limited success during the late 1990s. It was an idea ahead of its time. It’s possible that the technology has finally caught up with the hype. Most carbon frames rely on theromoset resins to bond sheets of carbon together. Thermoset resins are light, stiff and strong, but also brittle. The manufacturing process is also time and labor intensive, which drives up costs. Thermoplastics are easier to recycle and domestically sourced, reducing their carbon footprint. 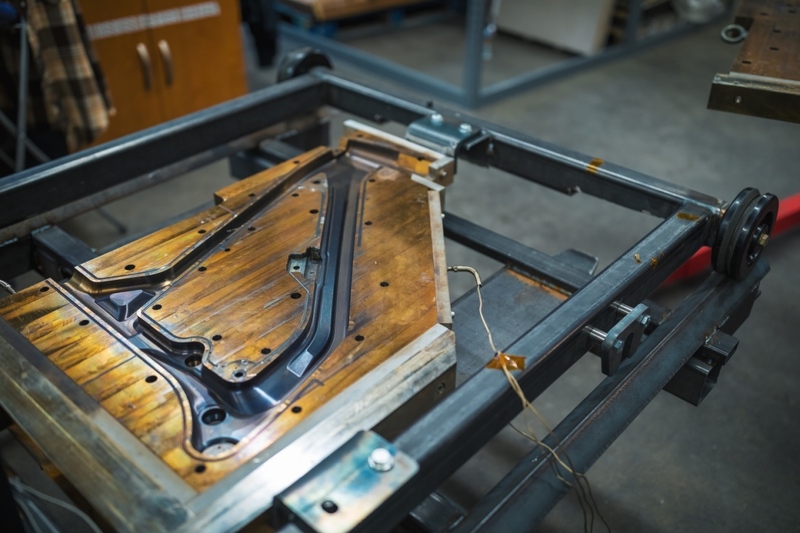 Like traditional carbon manufacturing, the Revved process relies on continuous carbon fiber strands, bladders and molds. 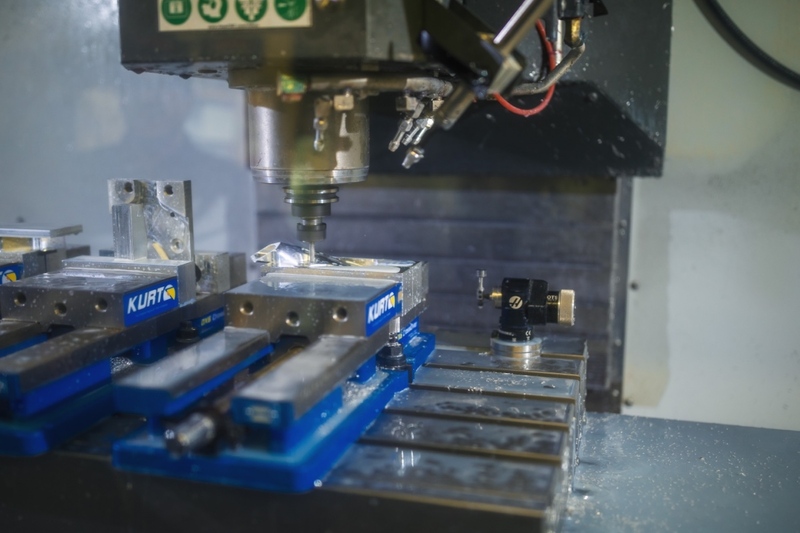 Guerrilla Gravity was able to build their molds in-house with its CNC machines. 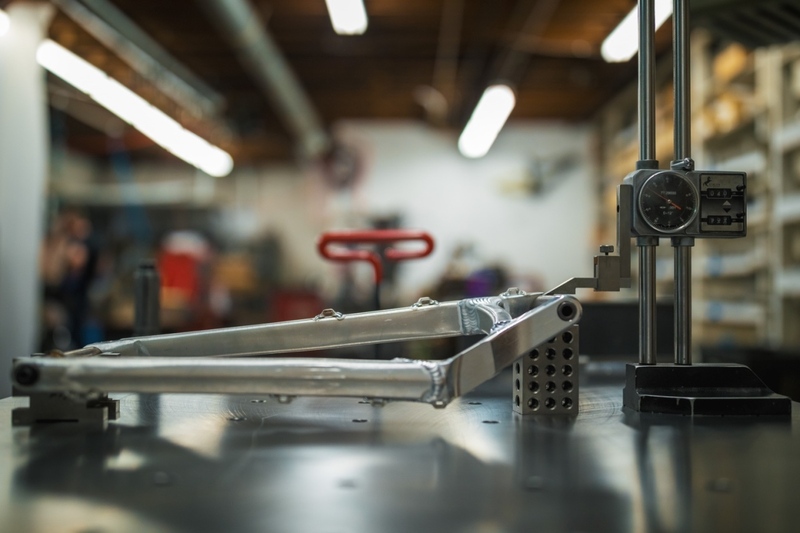 Unlike traditional carbon frame manufacturing, the lay-up process is automated. According to Matt Giaraffa, co-cofounder and head of engineering at Guerilla Gravity, automation reduces inconsistencies and cuts labor time by 80 percent. The total lay-up time for a frame is about five minutes. Further efficiencies are gained through a cleaner finishing process. 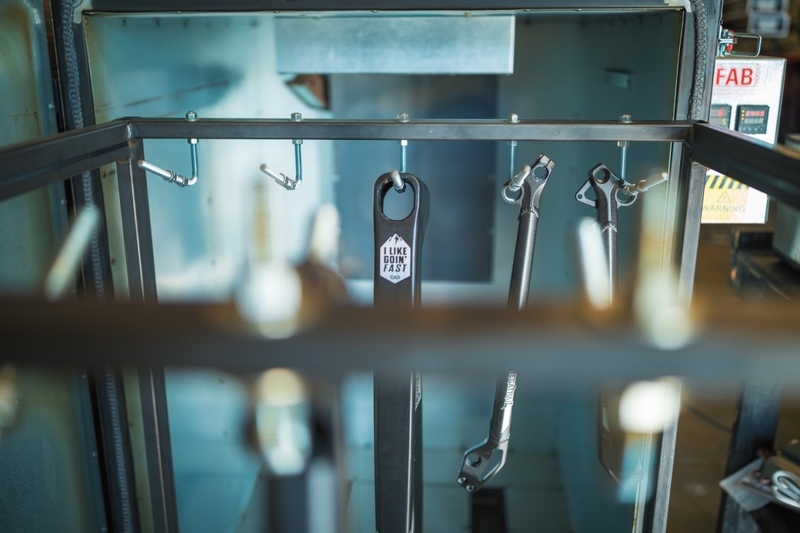 Giaraffa states that his company’s frames take approximately eight hours of labor time produce, compared to 24-40 hours for most carbon frames. The use of thermoplastics requires significantly higher temperatures to bond the fibers together. 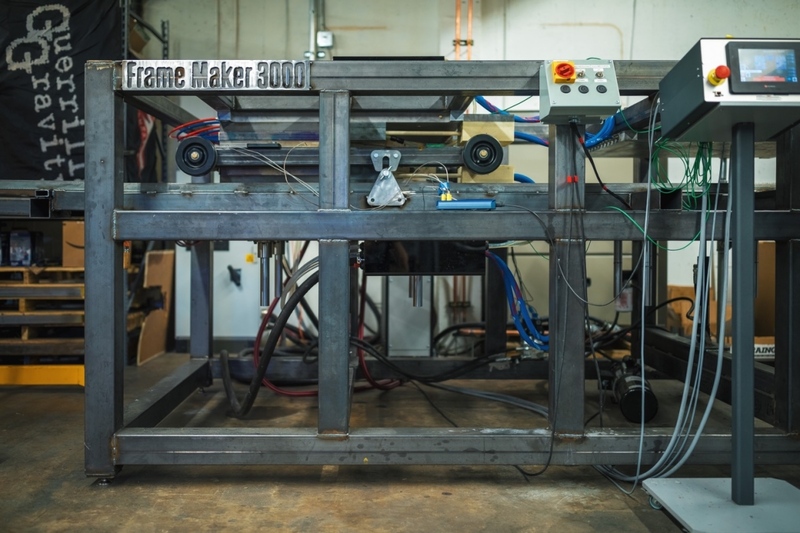 Guerilla Gravity developed a sedan-sized oven dubbed the “Frame Maker 3000” to cure the frames. 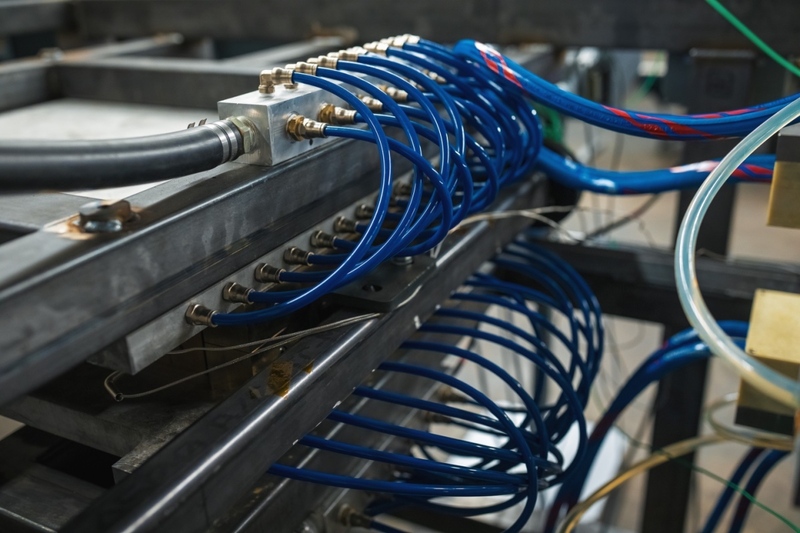 The rapid heating and cooling process requires a lot of energy. “Our landlords were very confused why we needed so much power,” said company president and co-founder Will Montague. He estimates each frame requires $1 of electricity to manufacture. Once the raw frames are finished, they’re powdercoated. 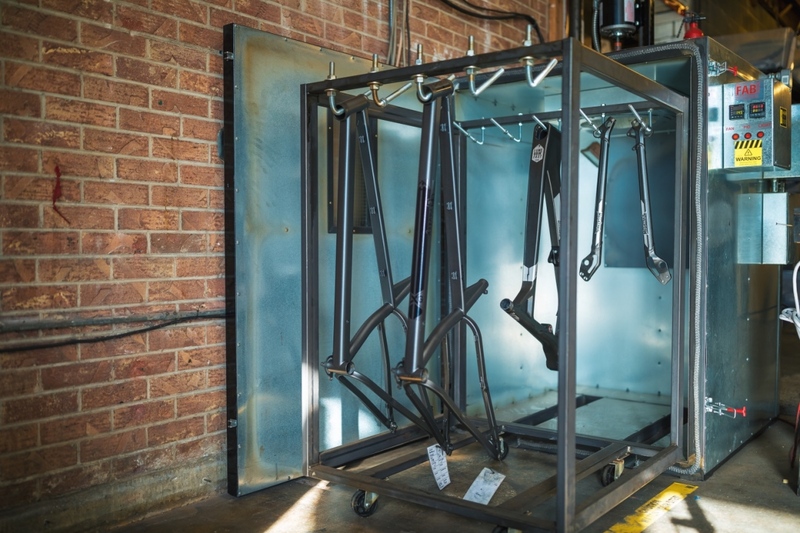 Thermoset-based carbon frames can’t withstand the temperatures required by the powdercoating process. In the case of Thermoplastics, this isn’t an issue. Though you won’t see any bare carbon frames from Guerilla Gravity, as the resin needs to be painted to protect against UV degradation. So why is a small company like Guerilla Gravity the first to adopt this process? According to Montague, the inertia of the existing carbon manufacturing process is the primary reason that other bike companies have not explored this option. “The factories and suppliers have no incentive to switch,” he said. Automation and speed allowed Guerrilla Gravity to bring carbon manufacturing stateside. The company’s final two cost-savings measures are things Henry Ford would have appreciated. First, all Revved frames are powdercoated black, but can be customized with a range of decal colors. Second, all four Guerilla Gravity full-suspension models use the same carbon front triangle, with travel and geometry changes accomplished through the use of the shocks, forks and swingarms.